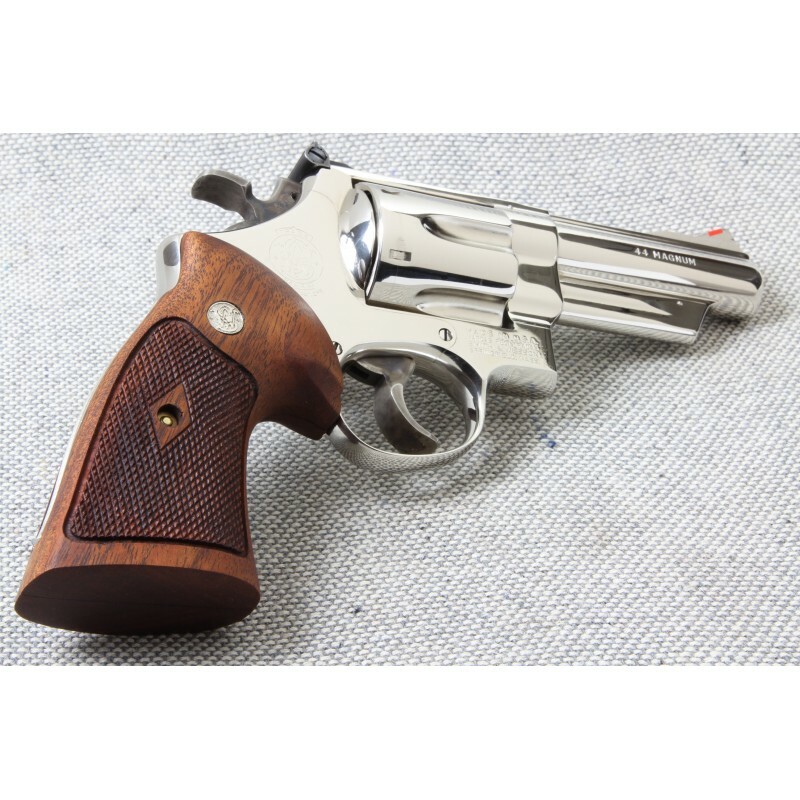 Our Heritage grips are reminiscent of the original Smith & Wesson factory "Coke Bottle" style of grips from 1950s. 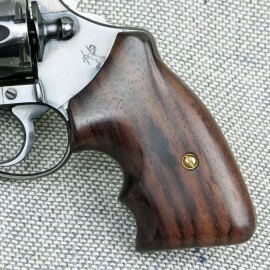 Because of their retro and traditional styling, these grips may not work well with speed loaders. Designed to fit Model 25, 27, 28, 29, 57, 58, 624, 629, 657 etc. 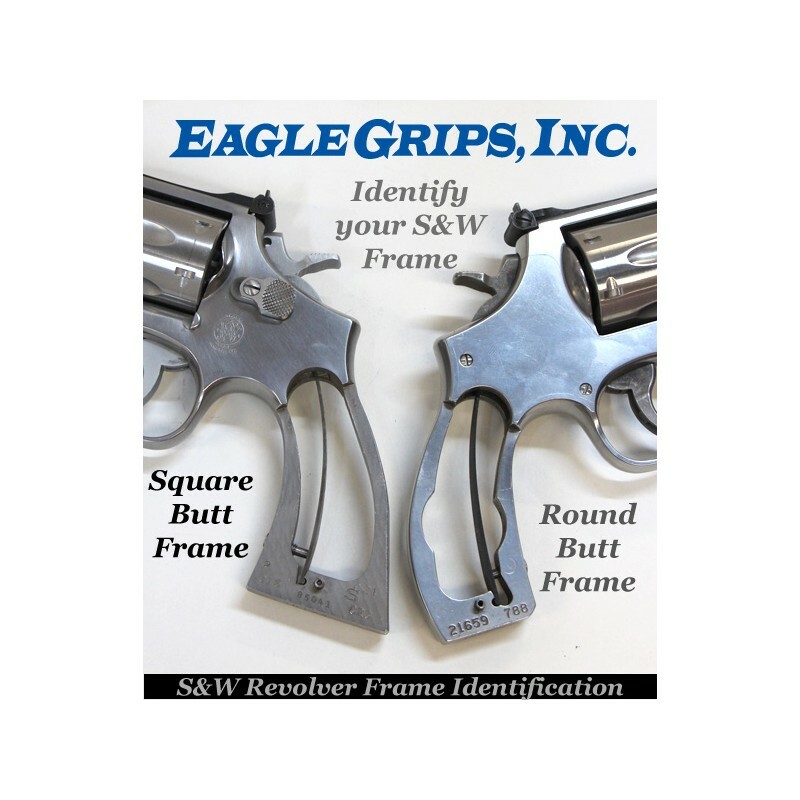 Our Heritage Grips are available for all medium to large frame, round or square, Smith & Wesson revolvers. 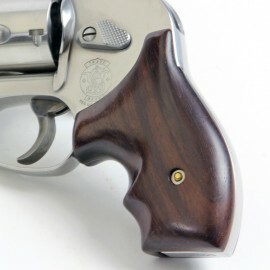 Because of their retro and traditional styling, these grips will not work with speed loaders. Purchased these for a 29-10 classic series. Huge improvement over the thin stocks S&W is putting on the new N frames. Much more comfortable to shoot with full house loads. Only reason I put 4 stars is I did not realize they would come unfinished. Perhaps I didn't read the description thoroughly. Don't know. Any way I rubbed in a few coats of true oil and buffed them with fine steel wool and they are good to go. I have purchased 3 sets of these grips. 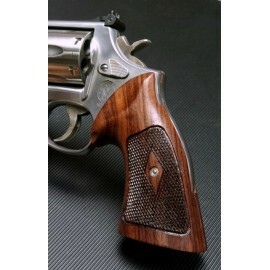 In my opinion, the dark rosewood most closely matches the older grips. Fit is as good as and appearance is better than the S&W originals available today. 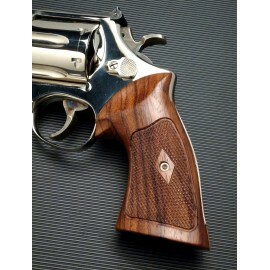 I've owned S&W's for over 50 years and these grips are about as good as it get for a reasonable price. Beautiful pair of grips well worth the price. 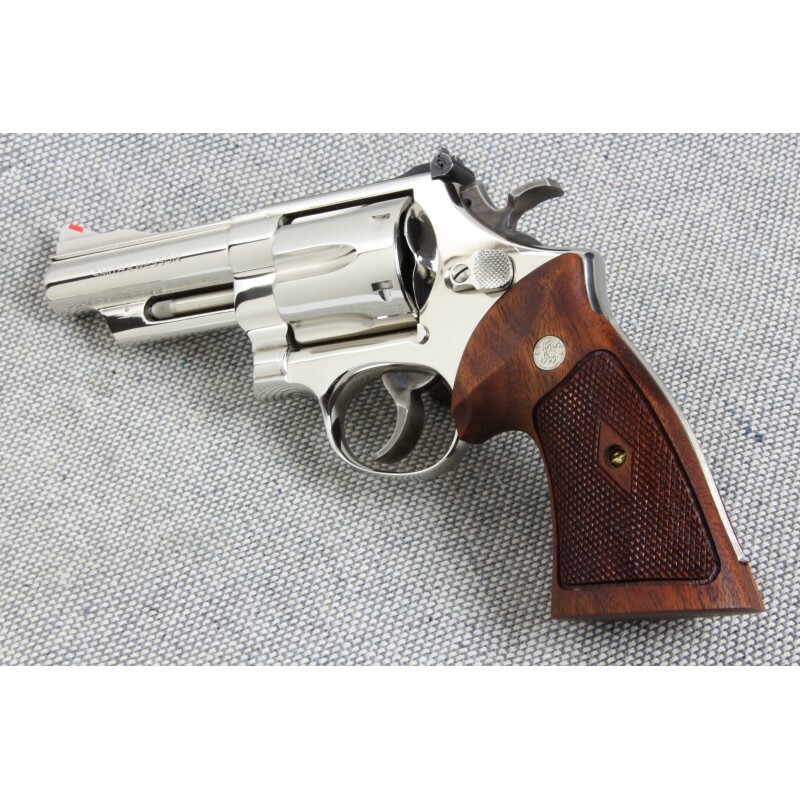 They fit and feel better then the original grips on my S & W Model 29-2! Will buy again for my other one. Nice to see something still made in USA instead of cheap aftermarket from China. I purchased the rosewood with reclaimed medallions. Side by side, these are very close to the originals. Pricey at $200, but $300 less than originals. 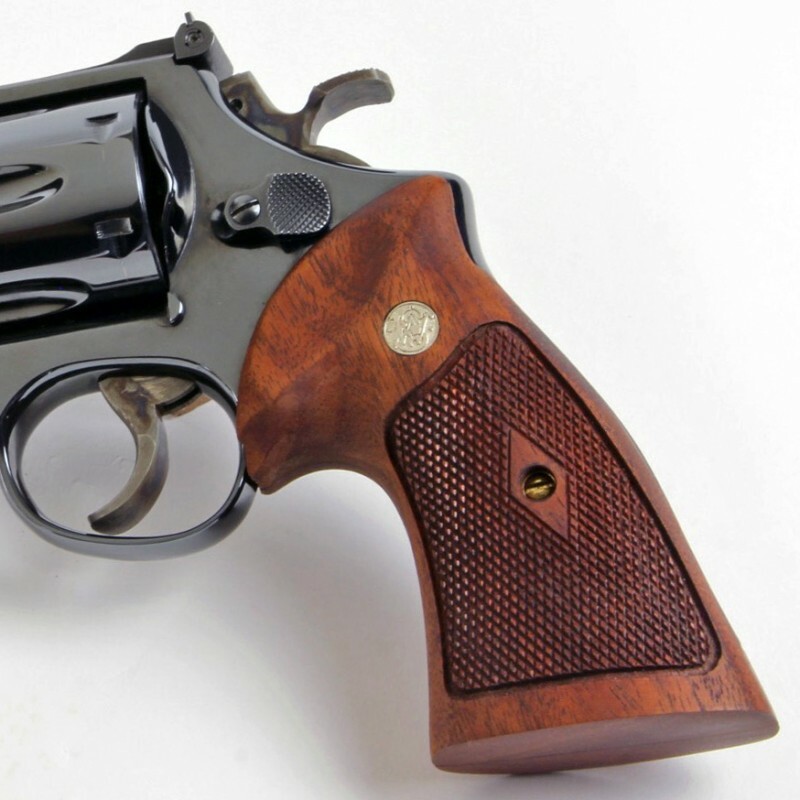 These are on a "lookin' at" revolver, so I don't know how they are to shoot. When I recover from the sticker shock, I'll likely order another set in walnut. I wasn't sure if any other grip would do justice to my mint Reg. Magnum if I decided to change the original Coke Bottle Magna grip. The Heritage Grip from Eagle guys solved all that for me in a jiffy. Fits like a glove and maintains the period look as well. Wonderful workmanship. Keep it up Eagle. Very happy good quality, fit is good and tight comfortable to shoot full loads, looks good to. Went to the plant, met owner very helpful and friendly. Will order again. With these N grips I found back the grips S&W made in the sixties so again I can shoot full loaded 44 mags in confort with my mod 29. After a longer waiting time than promised I received grips for a K frame, not a N frame as I ordered. I installed them on a k frame and the fit was very good but the checkering lines were not cut evenly. Nice Grip, good quality. 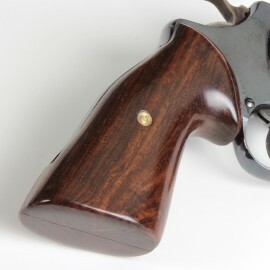 With the new grip the revolver looks greater and furthermore the grip is more comfortable for shooting then with the original grip!